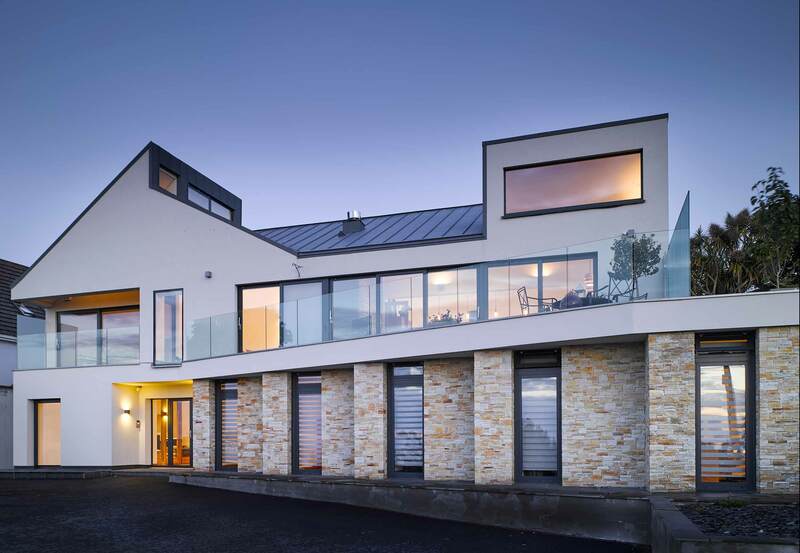 A contemporary designed home set on an elevated site in Howth with stunning views over the harbour. 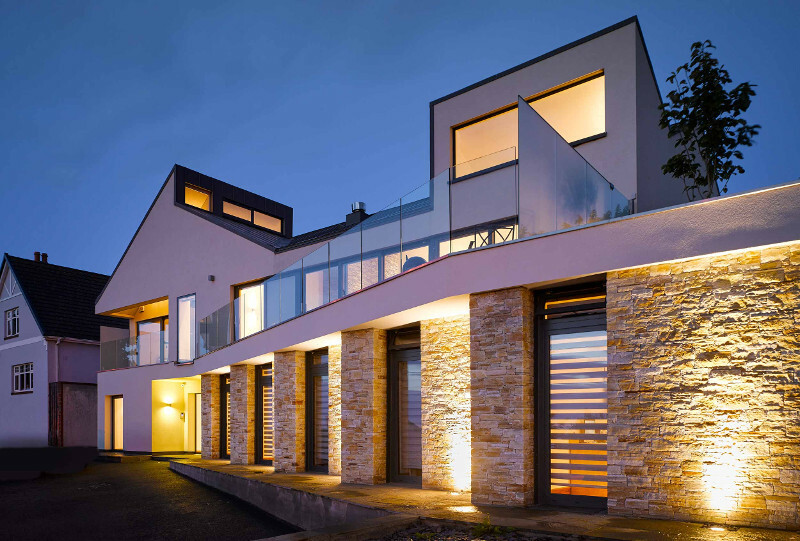 The structural form compromised an low level external shell of reinforced concrete retaining walls cut into the hill side to provide high quality habitable space below ground level. The main living accommodation is elevated to the upper level to take advantage of the setting. Upper level floors are precast concrete with structural screed tying to the RC retaining walls to the back and sides of the development. 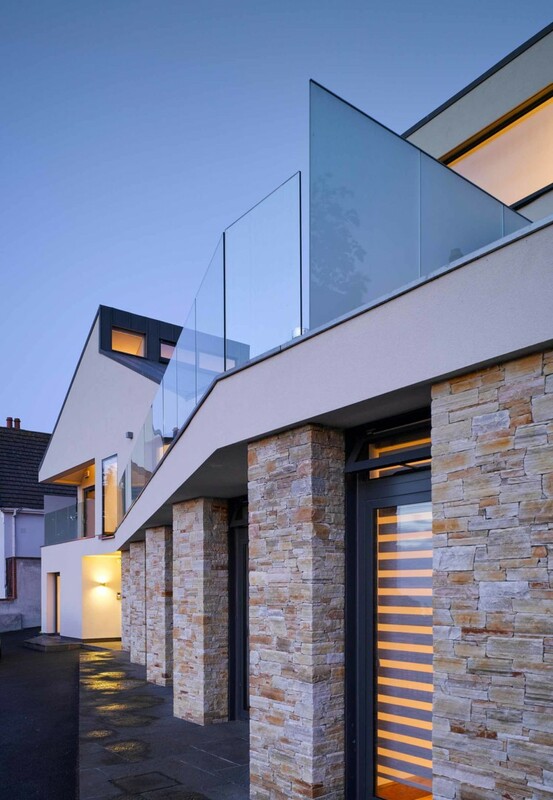 The upper level structure was formed using a timber framed element supported off the reinforced concrete structure. 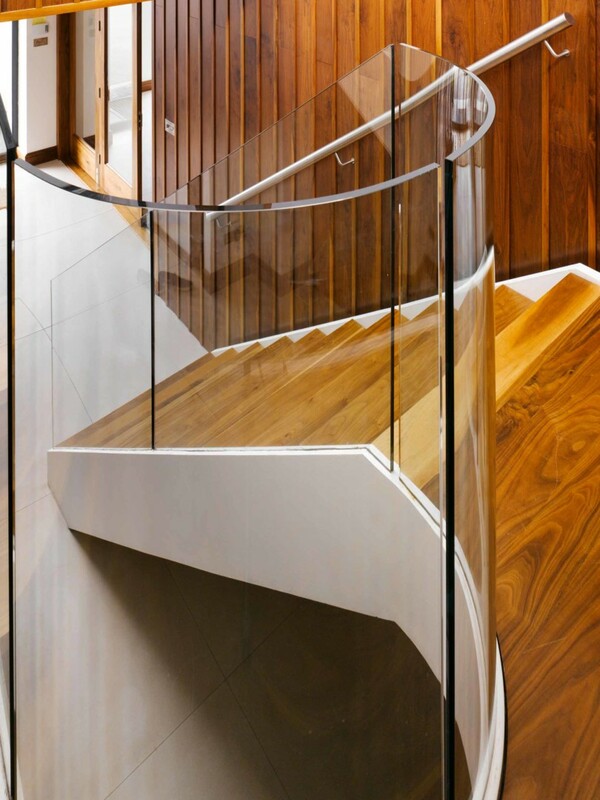 A feature cantilevered glass clad steel stairs was constructed internally projecting off the lower ground and upper ground elements. Sustainable solutions were provided in the drainage design, including infiltration, storm water storage, rainwater harvesting and polishing filters.